Is it OK to live in the past? No. We should learn from the past and apply it to the present. What about being concerned about the future? It's impossible to know for certain what the future will be. We should plan for the future but not stress over it. Is it OK to strive for material comfort? We need to have material things but the less we feel we need, the better. Because we are hurt. However, if we develop a forgiving spirit, expressions of remorse by the one who offended us will trigger a desire to forgive. What's wrong with holding some resentment? It isn't good for us physically or emotionally. It can also do the same for the one who sought your forgiveness and was rejected. Why do I feel so guilty for past mistakes? Because either you have trouble forgiving yourself or others keep reminding you of them. Isn't guilt a proof of contrition? 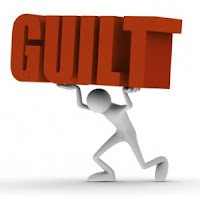 No, guilt is destructive because it makes you beat yourself up. Regret, on the other hand, shows you are remorseful and yet also allows you to move forward. People may expect guilt and feel that regret isn't sufficient. Best to ignore them.